Traditional time management says this: Do you have 10 things to do today? I can show you how to do 15. Do you have 15 things to do today? I can show you how to do 20. But what happens when you have 30, 40, and 50 things to do every single day like we do now? No amount of efficiency can get this much done in a day. 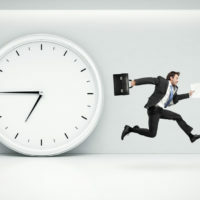 So let’s say it aloud, boldly and brazenly, traditional time management is broken. Focus, not efficiency, is the key to managing our time. And he was right, because when I did, magically grapes appeared on the vines. Wonderful, juicy, delicious grapes. I learned that for grapevines to produce grapes, the energy of the plant needs to be spent on growing grapes, not branches and leaves. To achieve that objective, grapevines need to be rigorously pruned so the plant can do that which is essential to its purpose, bearing fruit. In business and in life, pruning is cutting back what is secondary so that which is primary can thrive. It’s going through our endlessly long lists of things to do, identifying the few things that are vitally important and doing them, letting everything else go. Pruning is, fundamentally, a counterintuitive yet liberating concept: doing more by doing less. In short, focus. Concentration and courage. Words to live by in today’s crazy busy world. So farewell time management. I really won’t miss you that much. Hello focus. Let’s do business (and life) together.